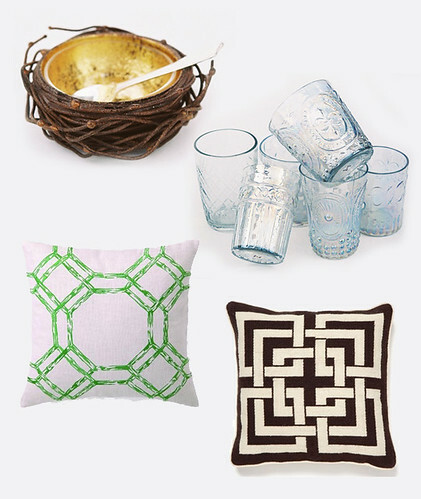 As Erin mentioned yesterday, next week we will be posting our world famous holiday gift guide. Yep, 5 full days of non-stop recommended shopping action. It's going to be massive. In preparation for our extravaganza, I suggest you take note of the two shopping rules I live by: 1. Never shop on an empty stomach and 2. Always get something for yourself. In preparation for the e-commerce bloodbath, The Inglenook Decor is making sure you can check rules one and two off your to-do list. The lovely ladies that run Inglenook contacted Erin and I offering up holiday plates for your dining, self keeping and overall holiday pleasure. You dudes know the drill: swoon, comment, and maybe maybe win. La random number generator will pick a winner next monday and I'll contact you via email on Tuesday. 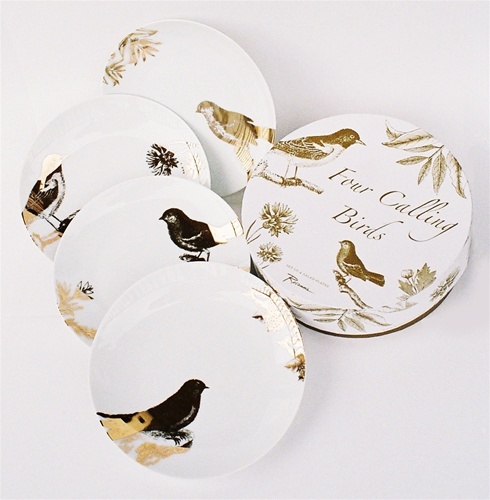 Option 2: Four Calling Bird Dessert Plates with 24 karat GOLD!!!!!! Have I reminded you lately how I love gold? Le sigh! These babies come in a set of four. Ok everyone, start your engines... 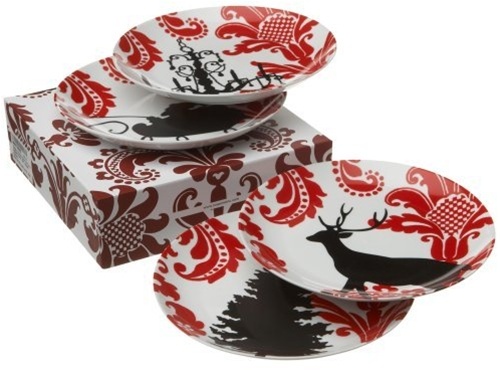 Pick a plate set and leave a comment and hopefully all your holiday wishes will come true.